Is a Billionaire or Millionaire looking to buy your election? 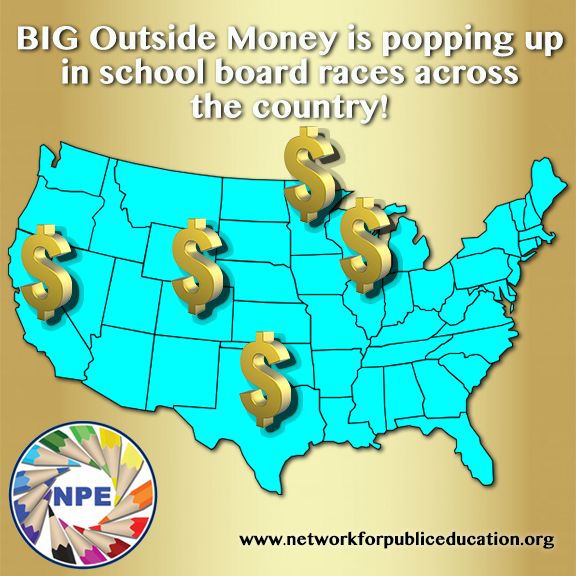 Here at NPE we’ve been hearing from supporters across the nation that Big Outside Money is changing the face of school board elections from Indiana to California; from Minneapolis to Denver. We have followed up on your tips, and sure enough big money corporate education individuals and their labyrinth of affiliated super PACs are throwing the significant weight of their wallets behind corporate-minded school board candidates, with spending in multiple races at record levels. In Minnesota, 50CAN affiliate MinnCAN is wrecking havoc in the Minneapolis school board race. In 2012, the combined total spending for all school board candidates in Minneapolis was $67,000. 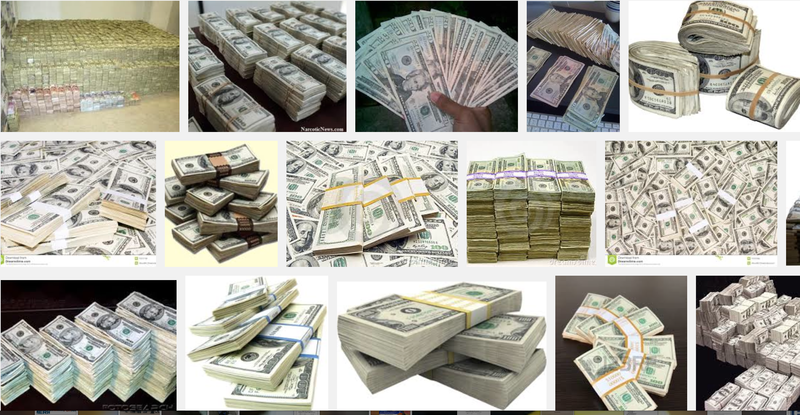 Fast forward to 2014, and the candidates and Big Outside Money have raised over $460,000. Michael Bloomberg, ex NYC mayor and charter champion is playing a big roll with a donation of $100,000 and Arthur Rock, a San Francisco venture capitalist and TFA Board member made a $90,000 contribution. Political agendas seem to abound in 2014 school board races, and Indianapolis is no exception. The cash-heavy, anti-teacher, anti-union, anti-public school organization Stand for Children Indiana is spending untold sums of money in the Indianapolis Public School Board (IPSB) race. Executive Director Justin Ohlemiller refused to reveal how much they have spent, claiming they are exempt from public disclosure of their campaign spending. Contributors to the race include Emma Bloomberg, Michael Bloomberg’s daughter and Stand for Children’s Board Chair, and Facebook CEO Sheryl Sandburg, who is also an investor in the controversial national charter chain Rocketship Education. IPSB President Annie Roof, who is running for re-election, lamented, “The problem with big money is those voices are the ones that tend to be heard the most.” Roof has said she wants to reclaim the label “reformer” and said it should mean advocating for students over any other interest. Out of state corporate education supporters are pouring money into an Austin, Texas district race for School Board in support of a little-known candidate who is a “founding administrator” of a KIPP charter school in Austin and is a Teach for America alum. Contributors include Leadership for Educational Equity, the Teach for America political arm; Campbell Brown; Bradley Tusk, Michael Bloomberg’s former campaign manger; Geoff Ralston, a founder in the Imagine K-12 charter schools in California and other founders and board members of charter schools from around the country. Please vote Edmund (Ted) Gordon in Austin!!! Teach For America and KIPP always in the middle of this millionaire and billionaire BS. Coincidence? I think not. Big Money’s voice is also being heard in places like Richmond, California where the California Charter Schools Association’s PAC has spent over $200,000 in the West Contra Costa school board election. Also playing a huge role are Stephen and Susan Chamberlin, a retired real estate developer and his wife, who have created a pro-charter school PAC called Education Matters. The PAC has spent over $100,000 in the West Contra Costa race. The 2014 election receiving staggering contributions from Big Outside Money is the State Superintendent race between the incumbent, former teacher and legislator Tom Torlakson and the challenger, former Wall Street and charter school executive Marshall Tuck. It’s no surprise that corporate reform heavy weights have come out in droves in support of the candidate with ties to Wall Street and charters. Familiar corporate-ed reform philanthropists top the list of donors, including Eli Broad ($1,375,000); Walton daughters and heirs, Alice ($450,000) and Carrie ($500,000); Julian Robertson of the Robertson Foundation ($1,000,000) and Doris Fisher of the Donald and Doris Fisher Fund ($950,000). Ex NYC mayor Michael Bloomberg contributed $250,000, as did Houston billionaire and DFER friend John Arnold and San Francisco venture capitalist and TFA Board member Arthur Rock. Why so much money in this particular race? Torlakson released a definitive statement within hours of the decision, and has appealed the ruling that could decimate tenure laws in California and beyond. 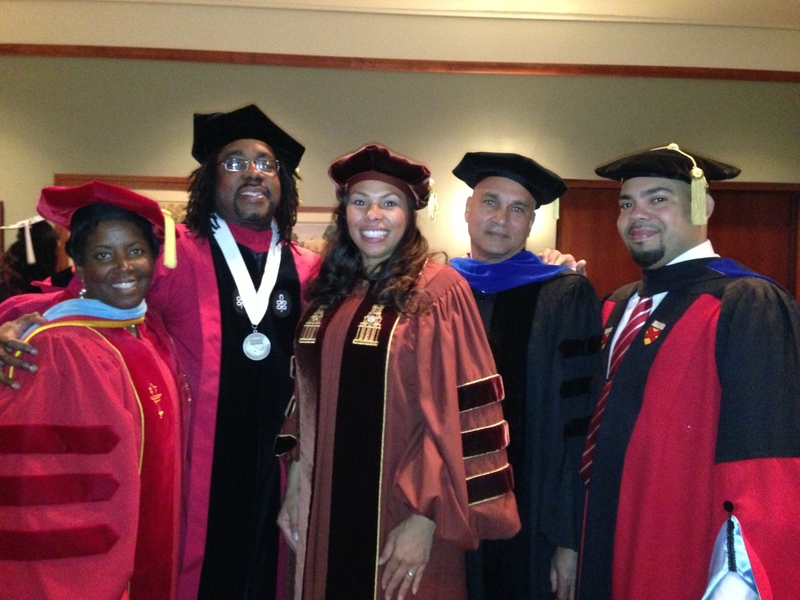 “All children deserve great teachers. Attracting, training, and nurturing talented and dedicated educators are among the most important tasks facing every school district, tasks that require the right mix of tools, resources, and expertise. Today’s ruling may inadvertently make this critical work even more challenging than it already is. Tuck not only supports the ruling, the plaintiffs in the case have endorsed his candidacy. Tuck offered his whole-hearted support for the decision at an event he recently attended with the Vergara plaintiffs. Torlakson holds the slightest of leads among likely voters over Tuck, but with a third of the electorate still undecided, it’s anyone’s race. A Field Poll last week found an even tighter margin, with the candidates even at 28% and 44% of voters undecided! This race is crucial. We simply cannot allow Big Outside Money to install a Wall Street and charter executive in the California State Superintendent’s seat. We simply cannot allow Big Outside Money to spread the Vergara verdict across the country. Re-electing Tom Torlakson will send a powerful message to those that seek to privatize public education and undermine our nation’s teachers. 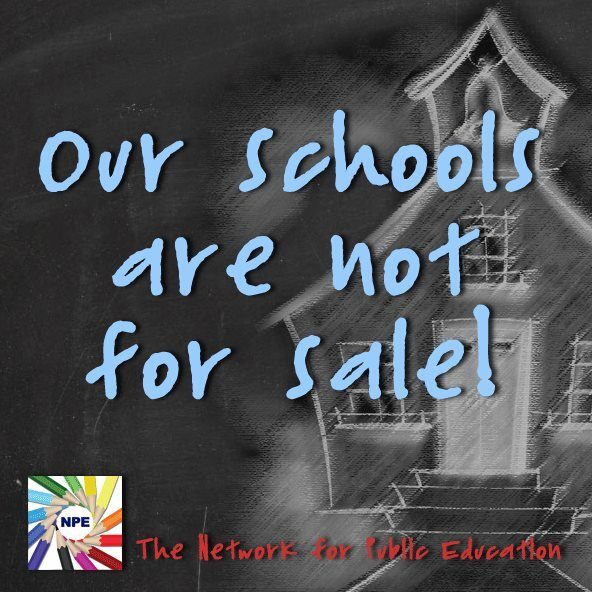 It will send the message that our schools are not for sale. I voted for Torlakson. 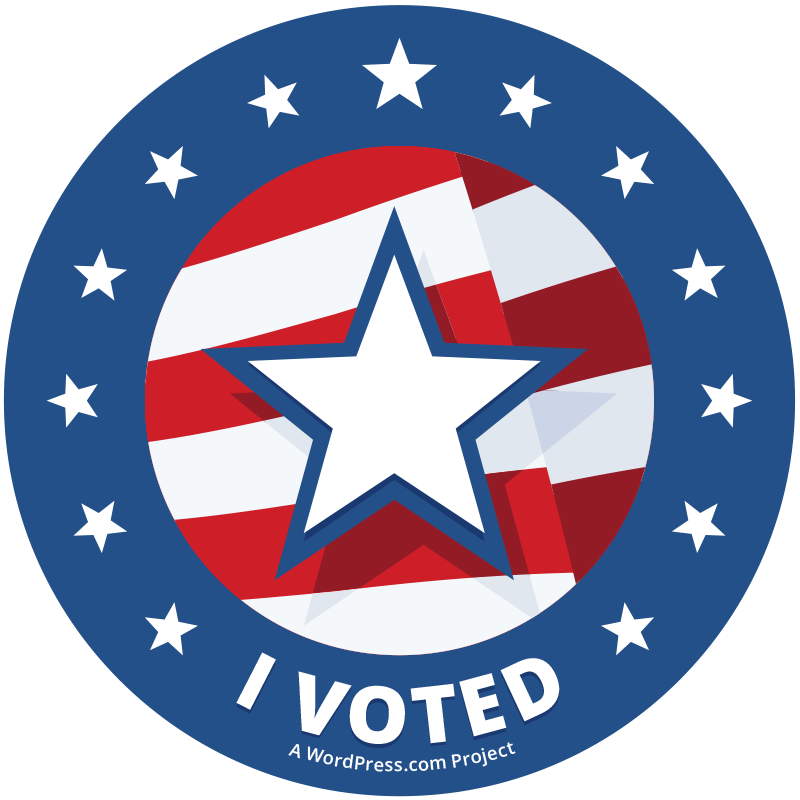 California didn’t make my voter registration exorbitantly onerous like Texas did. When I first moved to Texas it took me 6 tries. On my sixth try, I used my V instead of Vasquez and I was magically registered…. happenstance? California registered me in a week. Send a democratic message with your vote to the random millionaires and billionaires looking to buy the election in your community (That is if Texas didn’t stop you from voting with their poll tax). Please blame billionaires who think they are the smartest guys in the room for any typos. p.s. THIS IS NSFW HIP HOP. NOT! SAFE! FOR! WORK!